Working Group on Alcohol and Responsibility / Bundesverband der Deutschen Spirituosen-Industrie und -Importeure e.V. To raise awareness of the risks and dangers of drinking and driving. To promote the designated driver concept as a safe alternative among 18-24 year old males. To further reduce the disproportionately high involvement of young drivers in alcohol-related accidents. Launched in 1993, the "DON’T DRINK AND DRIVE (DDAD)" initiative is one of the longest-standing road safety initiatives in Germany. It is supported by the beer, wine, sparkling wine and spirits industry federations as a joint contribution to reducing alcohol-related accidents in Germany. 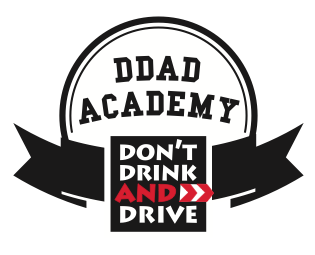 "DDAD Academy" events in vocational schools since 2014 (previously "DDAD Party Patrol", see below) to promote the message "DON’T DRINK AND DRIVE" to a young, car-oriented public who tend to be opinion leaders on the subject of cars among their peers ("peer-to-peer" approach). The events include a driving simulator to mimic the impairment that drinking can have. 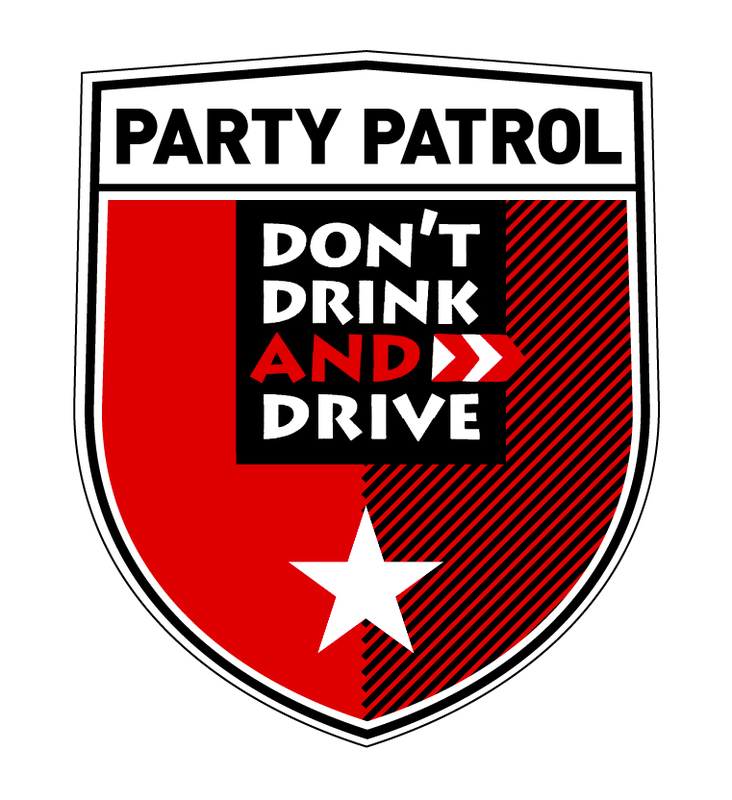 Between 2007 and 2014 "DDAD Party Patrol" events in discos/company parties to promote the designated driver concept through a "peer-to-peer" approach. "Party boxes" for catering establishments and event organisers (aprons, stickers, beer mats and posters). Internet support www.ddad.de and promotion through YouTube and, since 2011, Facebook. The website, optimised in 2014 for mobile devices using responsive design, presents news on the initiative, key facts and figures on drinking and driving. The Facebook microsite provides current information on the initiative, event announcements, pictures, useful links and a platform for exchange for fans and all other interested user. Yearly patronage of a well known German personality. In 2018 it was Dr. Bernd Buchholz, Schleswig-Holstein Minister of Economic Affairs, Transport, Employment, Technology and Tourism. In 2018, a Ford car was used as driving simulator at events. In addition, the "Passenger car young driver training" took place. The first prize which was drawn afterwards between all participants of the competition was a Ford Fiesta for 6 months including tax and insurance. It forms part of the BSI commitment to the European Road Safety Charter first signed in 2008 and renewed for the next years. Between 2007 and 2013, 52 "DDAD Party Patrol" events. A total of around 5,000 wristbands were given to the designated drivers committing to stay sober ("bringer wristband") during these events. Between 2014 and 2018 54 "DDAD Academy" events were held. Until December 2018, 807 "Party boxes" (aprons, stickers, beer mats and posters) were distributed. From August 2007 to December 2018 the "DDAD" website had about 1.9 million visitors with about 4.3 million page views. In 2018, events took place on 10 days during May and June with regional focus on Schleswig-Holstein. In October 2016 an event took place during the Conference of Ministers of Transport in Stuttgart. The Facebook page was "liked" over 12,200 times and the YouTube videos were viewed about 39,700 times (until December 2018). During 2009, questionnaires and face-to-face interviews took place after the 8 "DDAD Party Patrol" events. The outcome among the visitors of eight events in North Rhine-Westphalia certifies the sustainable effect of the campaign regarding behaviour, attitude and knowledge in connection with the dangers of drink driving. Young drivers appraised the whole action with the grade of 1.8 (grade system used in schools from 1-6, where 6 is a fail). All guests who left their email address received a request to answer an online questionnaire 84 weeks after the event (80 took part). 82% of the interviewees stated that they did not drink and drive after events. In 2015 questionnaires were distributed to the 8 participating vocational schools after the "DDAD Academy" events took place. On average the events were rated with 1.5 (1-6 scale, 1 being the best score). All eight contact persons would recommend the "DDAD Academy" event to other vocational schools.